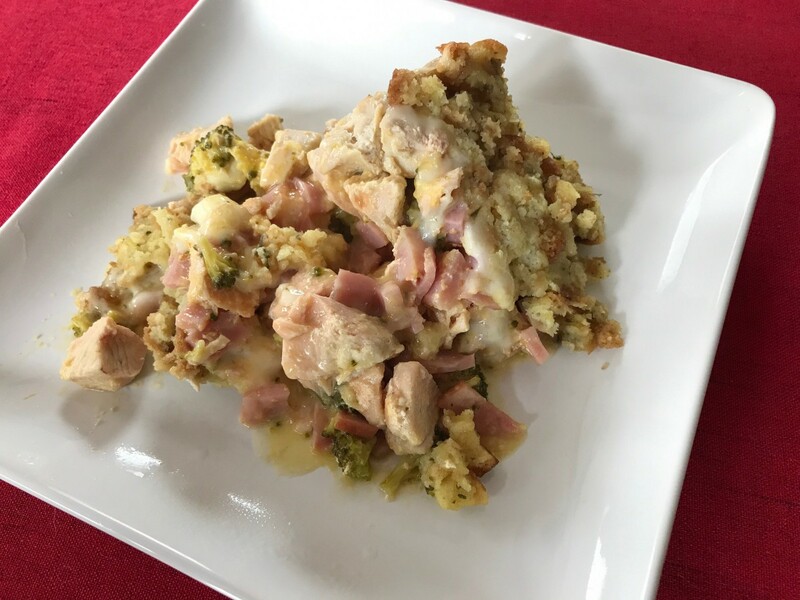 Chicken Cordon Bleu has always been one of those meals that I’ve enjoyed, but never really think to make. The first time I was introduced to it was when I was probably around 10 years old. It was a breaded pocket filled with processed chicken, ham, and swiss cheese and wrapped in a plastic wrapper. It got stuck in the microwave and eaten like a burrito. Being the picky child that I was, I was afraid to try it at first. Once I got the courage to take that first bite, I was glad that I did. To my 10-year-old self, these were the best thing since grilled cheese and I frequently asked for them during weekly trips to the grocery store. Now, I would probably cringe at the long list of unpronounceable ingredients on the back of that wrapper. 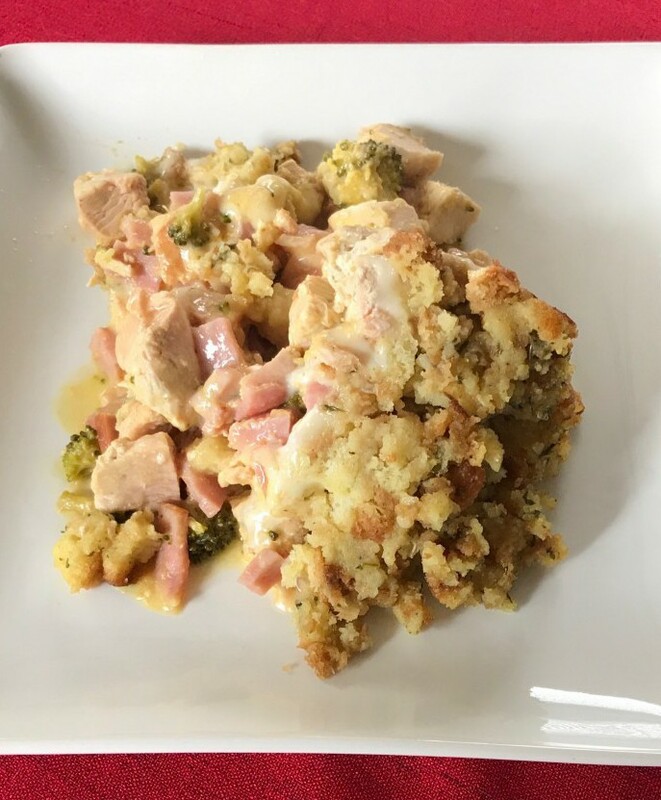 While browsing Pinterest, one of the suggested Pins was for Chicken Cordon Bleu Casserole. I’d never made the dish before and had only had a few versions of it at various restaurants. From the picture, it looked simple enough to make and really, really good. I pinned the photo and forgot about it. After all, Pinterest is an addiction in itself and there is no way we can make or craft every single thing that makes its way onto our boards, right? However, when I was making a grocery list last week and going through previous Pins for meal ideas, this one stuck out again. I added the ingredients to my grocery list and made it a few nights later. This is a fairly easy recipe, however, there is a lot going on at once during preparation. From cooking the chicken, preparing the stuffing, dicing ham, and chopping broccoli, an extra set of hands would have been useful. With this in mind, next time I’ll be sure to have some of the prep done in advance. It does make quite a bit. Between my husband and myself, we’ve each had two decent sized meals and there is enough for one more large serving. Hubby really likes this casserole and has given me his approval to make it again anytime. Mix soup and mustard in medium bowl; stir in chicken, broccoli, and ham. Spoon into 2-qt. casserole dish sprayed with cooking spray; top with cheese slices and stuffing.